Sundance in Buckeye is an active adult golf community that provides many amenities and plenty of small town charm. This age-restricted community is open to those aged 55 and better, and is designed to appeal to active adults. The spacious clubhouse offers a variety of amenities and activities that encourage an active lifestyle, including The Golf Club at Buckeye. This 18-hole course features beautiful views of the Sierra Estrella and White Tank Mountains. The town of Buckeye is experiencing rapid growth, but has retained its small town atmosphere. When residents wish to venture beyond the town, Phoenix is 20 miles away and neighboring Avondale is only 5 miles to the east. Sundance's 15,000 square-foot clubhouse features many of the amenities found in a large scale active adult community along with daily activities that appeal to a variety of interests. Residents can exercise in the fitness center, stay in shape by swimming in an outdoor pool, or play a game of tennis, pickleball, bocce, or raquetball. The many indoor amenities include a billiards and card room, arts and crafts room, library, and on-site restaurant at the golf course. The Sundance Golf Club at Buckeye offers an 18-hole course, designed by Greg Nash. This challenging course combines the area's Sonoran Desert beauty with lush fairways and greenery. Four sets of tees provide a range of play from 5,300 to 7,000 yards, making the course a great fit for many skill levels. Sundance offers new and resale ranch-style single-family floor plans in a wide variety of designs. Hancock began construction in 2002, and new models were introduced in 2005 when Meritage took over the community. All homes have two bedrooms, a den, two or two-and-a-half bathrooms, and an attached two-car garage. LGI Homes also offers a collection in Sundance, with homes ranging in size from 1136 to 1838 square feet. The homes feature two or three bedrooms, and two bathrooms. All floor plans also offer a two-car attached garage. Homes feature low-maintenance exteriors for homeowner convenience. Many of the homes in Sundance have beautiful golf course or desert views. They are also built with eco-friendly building practices, and commonly feature covered patios and pools. With many models to choose from, these affordable homes are available in a range of sizes from 1,390 to 2,209 square feet. Active adults are drawn to Sundance at Buckeye for its great location, wide variety of amenities, and affordable housing. There are plenty of amenities and activities to engage residents, and a full-time activities director is on hand to help make arrangements. Pedestrian and multi-purpose trails linking the neighborhoods, parks, and recreation centers will allow residents to easily walk or bike around the community. The area's small town charm is enhanced by its spectacular views of the Sierra Estrella and White Tank Mountains, yet its proximity to Phoenix lets residents also take advantage of all the city has to offer. Sundance is located in the quickly growing Town of Buckeye, which was named by settlers from Ohio in the 1800s. This up and coming town is experiencing rapid growth of both planned residential communities and commercial venues, including retail, entertainment and health care facilities. Buckeye may have its own small town charm, but the community's easy access to both I-10 and state route 85 make it convenient to visit nearby Phoenix, the neighboring town of Avondale, or even drive into Mexico, which is about an hour and a half away. Many shopping centers, restaurants, and cultural attractions can be found on the way to Phoenix as well. Sundance features exclusive amenities for its active adult residents. Sundance is situated around an 18-hole golf course. 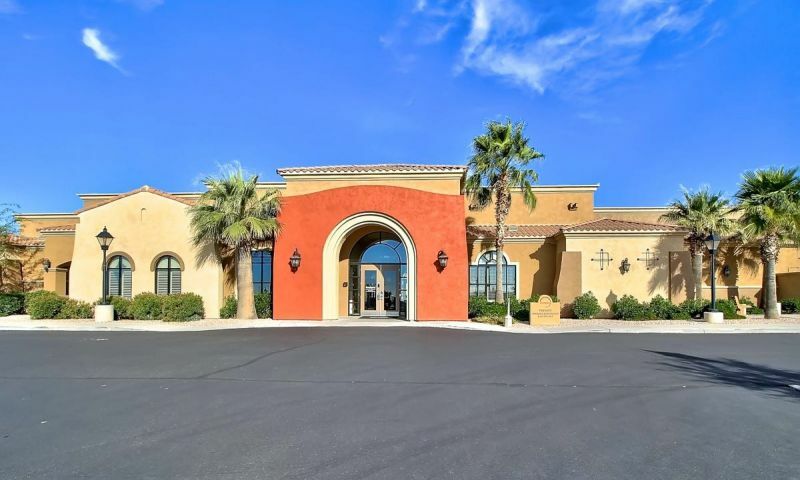 Sundance Golf Club is located at 900 South Sundance Parkway, Buckeye, AZ 85326. There are plenty of activities available in Sundance. Here is a sample of some of the clubs, activities and classes offered here. LGI Homes offers a collection in Sundance, with homes ranging in size from 1136 to 1838 square feet. The homes feature two or three bedrooms, and two bathrooms. All floor plans also offer a two-car attached garage. Homes feature low-maintenance exteriors for homeowner convenience. Sundance is encompasses low-maintenance single-family homes that range from 1,390 to 2,209 square feet in size. These one-level homes feature two bedrooms, a den, two or two-and-a-half bathrooms, and an attached two-car garage. Really great community in Buckeye. Lots of shopping right around the corner and just off the freeway. Have visited here a few times and really enjoy it. Nice golf course too. Clubhouse is very nice, and the residents are friendly. So much to do in the neighborhood and it’s close to the expressway. So convenient. A little cheaper than some adult communities,but offers all amenities and very friendly.HOA are less expensive.They offer everything from golf,tennis,pickle ball,hiking, exercise classes. I'll elaborate on the previous review from Judith a bit. The value here is tremendous. Most of the homes are in the range of $150k and the HOA fee is under $300 per quarter so it's very reasonable considering all the amenities included. I get a lot of use out of the fitness center and play bocce too. My wife walks the trails daily and is involved with some of the craft clubs. Golf is extra which is pretty typical of these types of communities but it's really worth it and the views are outstanding. If you like community patrols and lots of restrictions you LOVE this community! Buyer beware HOA board is bored and is bent on expanding the clubhouse and fitness center when not needed at a cost of 2 million dollars this will surely result in higher resident monthly dues the residents are divided on this issue and a battle is brewing look before you leap and buy a home here I will not remove this review until people regain their senses. Love this community and an expanded clubhouse and kitchen are sorely needed!! 55places.com is not affiliated with the developer(s) or homeowners association of Sundance. The information you submit is distributed to a 55places.com Partner Agent, who is a licensed real estate agent. The information regarding Sundance has not been verified or approved by the developer or homeowners association. Please verify all information prior to purchasing. 55places.com is not responsible for any errors regarding the information displayed on this website.